Conkey's Outdoors for All Your Hound, Hunting and Outdoor Supply Needs. Conkey's Outdoors is dedicated to the sport of hunting with hounds. We cater to Coonhunters, Hog Hunters, Varmint Hunters, and Gator Hunters alike. 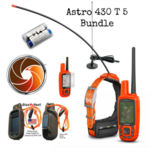 Conkey's is your one-stop source for the best in sporting dog hunting supplies featuring Garmin, Boss Lights, Dan's Hunting Gear. Meet Bruce Conkey, owner of Conkey's Hound and Hunting Supply, and let him personally introduce you to the Conkey's Outdoors Showroom. Conkey's Videos features the top selling hound and hunting products. 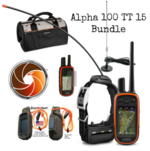 Garmin Videos showcases the best in Garmin dog tracking and training products.